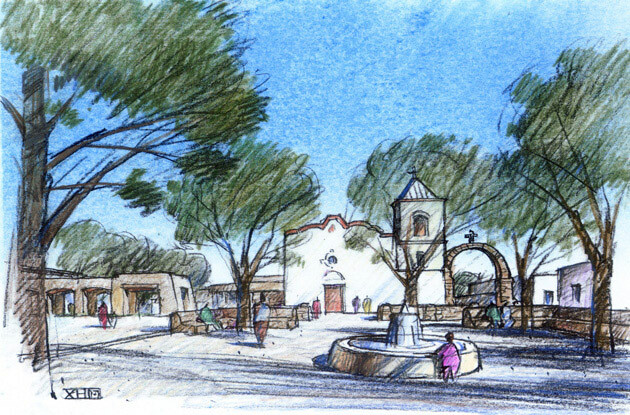 The plan for the reconstruction of Doña Ana's historic plaza offers new hope for the future of this small rural community located on the Camino Real. Doña Ana was a traditional farming village from the 1800s through the 1950s; today it is primarily a bedroom community of about 1,200 people. The plaza, currently paved with asphalt, was virtually erased and, while the historic church was recently restored, many surrounding buildings were not. The church area still serves as the center of the public and religious life of the village. 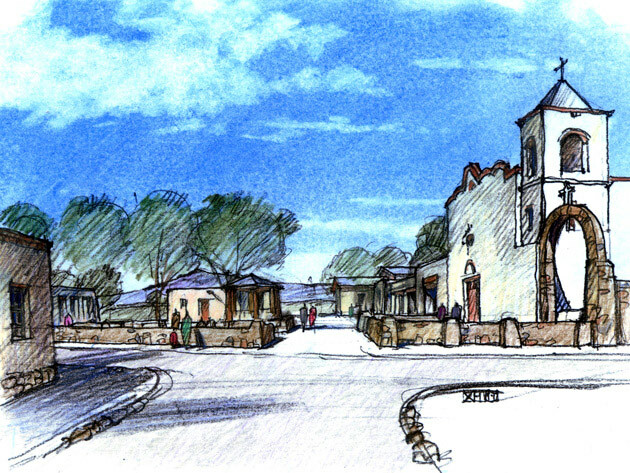 The plan proposes five main projects: a small walled sitting garden in front of the church; a new plaza; a cloistered courtyard to tie together the old and new churches’ support buildings; a small community library opposite the historic church; and a Camino Real Heritage Center on the north side of the plaza. 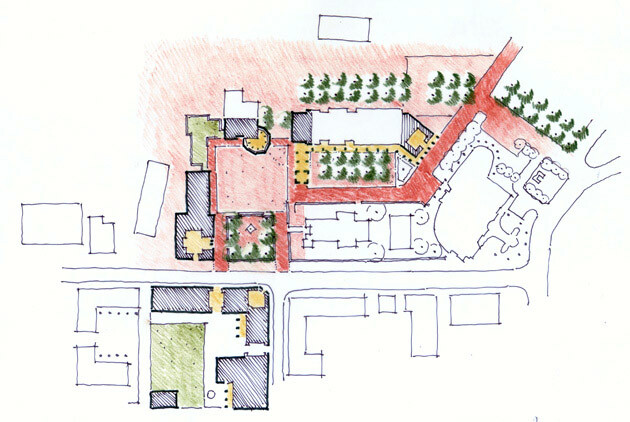 State funding has been made available and a first phase consisting of the sitting garden and the plaza will soon be under construction.